Pinterest's real potential is adding a layer of curation for brands that don't have their own native content enabled yet, writes the head of strategic innovation at Carat. Pinterest has always been a fascinating platform for me, as it is one of the few that casts forward into someone's life, rather than mostly backwards, as with Twitter and Instagram. It’s used by many as a platform to capture everyday ideas – for things to do in the future – and this, for marketers, is a gold mine of passion and interest data, as well as giving us more of a sense of where someone is on their journey towards something. If someone is creating a board called "kitchens", they’re potentially at the start of a project; if someone is pinning particular content from a search, they’re getting closer to the point of specific purchase; or if someone is reviewing their pins and clicking through to product sites, all of this rich and meaningful behavioural data gives us a sense of intent – not unlike search, but with the huge added benefit of the content they discover and like also being accessible to understand what then went on to do, and want to do later. Pinterest launching paid advertising on its platform is a step towards marketers being able to access not just intent data, but also interest and passion data in a really deep and valuable way. Whilst its advertising offering at launch is simple – as it works with brands and agencies to understand how best to use the data they’re sitting on – its offering will become unique in market. 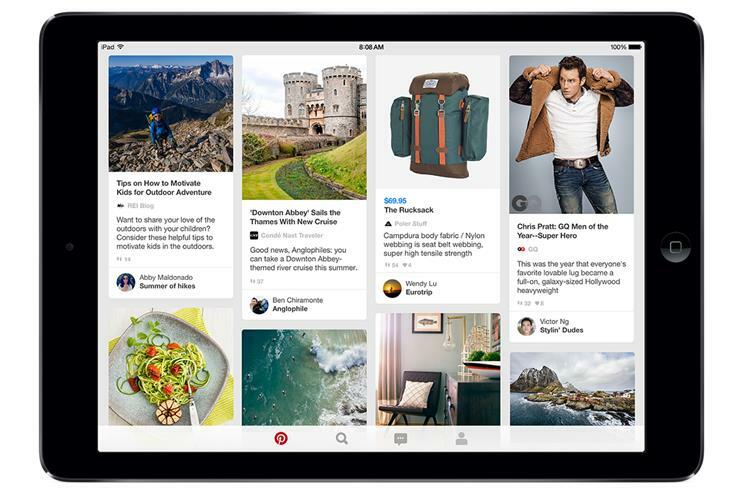 Pinterest’s real potential though is adding a layer of curation and transaction for brands who either exist in the real world or in digital but don’t have their own native content, inspiration and transaction capabilities enabled yet. Imagine a Pinterest layer as a second screening experience whilst you’re watching television, where every product you just saw is immediately pinnable (and maybe even purchasable). In order to attract brands to its platform, Pinterest needs to make sure that it’s partnering with agencies to develop value for a brand’s consumer, not just targeting and adserving capabilities. Developing these partnerships with brands – embedding valuable pinnable functionality within other contexts and themes – will also help Pinterest grow its user base beyond the potentially held (mis)perception of it only being a platform for interior design and "soccer moms". In the immediate term, however, for brands who are looking to integrate into a rich and diverse community of users around very specific passions and interests, Pinterest looks like it will offer a good opportunity – and brands that get started today are likely to do well in the future with this platform as a partner.